At the Cat Fanciers' Association (CFA) Board of Director's meeting June 11-12, 1966, Mr. Winn & Mrs. Martinke presented a new program for hybrids. Quoting from the 1966 CFA yearbook minutes, pg 113. "It had first been envisioned as a solution to the problem of silver American Shorthairs which appear to be more Persian than American Shorthair..."
This proposed new breed was to be called "Sterling Shorthairs" and the program called for all American Shorthairs of chinchilla or shaded silver coloring to automatically have their registrations changed to this new breed. The program was approved by the Board of Directors. Further provisions of this Board determined that all progeny of this hybrid breed would always be registered as the hybrid breed "regardless of coloring or physical characteristics." It was also moved and carried by the Board that this new breed be immediately accepted for championship status. At the CFA Board of Director's meeting September 8-9-10, 1966, the Board of Directors changed the name from "Sterling Shorthairs" to "Exotic Shorthairs." (CFA Yearbook, 1967, page 142). Mrs. Rose wanted to make sure a program was in place to register hybrids. "Several things may be done to remedy the situation in American Shorthairs, where because they have been registered for years with unknown parentage, it is very probable that longhairs are in the background." The implication is clear that Mrs. Rose and others were aware that Persians were being used to create a more extreme and robustly boned American Shorthair, but such breedings were not sanctioned, thus, cats from these breedings were being registered as unknown heritage (as was allowed at the time for American Shorthairs.) The creation of the Exotic Shorthair breed by the CFA Board at that time appears to have been in order to preserve the integrity of CFA pedigrees. It is important for members of the current CFA Board of Directors to realize that the Exotic Shorthair breed exists today not because a group of dedicated breeders set out to create and promote a "shorthair Persian," but because a group of American Shorthair breeders began to illicitly use Persians to dramatically change the type and color of American Shorthairs into what they envisioned for that breed. Had it not been for the actions of the CFA Board in 1966, it is very likely the Exotic Shorthair would have never existed and it would be instead the American Shorthair that would possibly be involved in this particular dispute. After the creation of the Exotic Shorthair breed, it was quickly embraced by a few dedicated breeders who saw the opportunity to expand on their vision of a more extreme American Shorthair and create a breed of cat that was, in appearance, a Persian with short hair. The early advocates of Exotic Shorthairs used many other breeds, include Burmese, Russian Blue, British Shorthairs, random-breed "domestics," and, of course, American Shorthairs. "In view of evidence indicating that Persians have been bred into the British Shorthairs, it is the recommendation of the National Breed Council that from now on, all imported British Shorthairs be registered as Exotic Shorthairs." This practice continued until at least 1980. It is not possible to be able to determine the extent of the influence of British Shorthairs on the Exotic Shorthair gene pool as CFA records show these cats as Exotic Shorthairs only. "Mrs. Sample stated that many judges expressed the opinion that they had felt they were judging many cats in the American Shorthair Classes that had Persian ancestry. We had hoped by creating a separate class for these cats they would be shown there - this has not developed. Much discussion transpired regarding the people that may then be working with the Exotic Shorthair breed and have now had the door shut on them. Mr. Thompson moved that we reconsider Mrs. Carnahan's motion. The motion passed. Mrs. Rose moved that we table this until records in the central office can be examined. The motion carried with one negative vote. (Mrs. Carnahan.)" It is again interesting to note that the push for this new breed of Exotic Shorthair was not coming from breeders, but from the CFA Board and CFA Judges. (1969 year book, page 215). In 1972, an article about the Exotic breed was printed in the yearbook. In this article, the authors, Rosemonde S. Peltz and Joan S. Uzee, outlined the basic history of the Exotic, the ideal Exotic, and also, breeds that might be useful to Exotics as outcross. 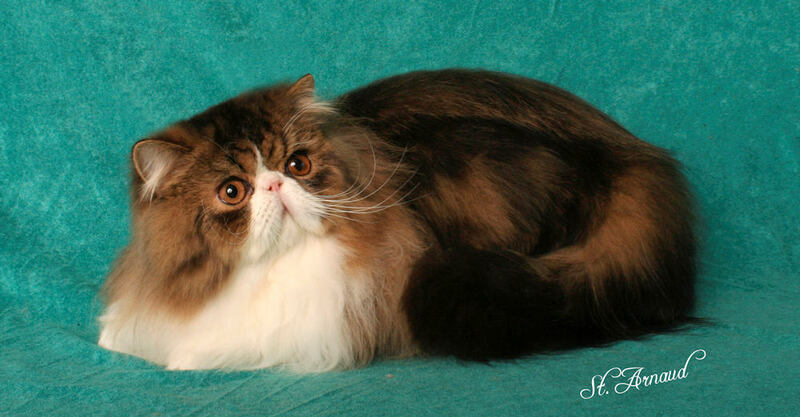 Included recommendations were Abyssinians (for those working with silvers to improve ticking), Burmese (which the authors note had already been used successfully in producing good Exotic Shorthairs), American Shorthairs ("an ideal cross"), and perhaps even Korat ("This breed will prove interesting to cross to blue or cream Persian and should be explored not only for color but coat quality.") There is no evidence that Abyssinians or Korats were used in foundation breedings with Exotic shorthairs, but it is interesting to note the experimenting nature of early Exotic breeders. The author's recommended against breeding Exotic X Exotic, as "the breed was envisioned as a hybrid offering and the ideal cat should remain so." Also in the article, when discussing the future of the Exotic breed, the authors note the emphasis on Exotics should always be "shorthair and Persian type." Numerous times throughout CFA's history, Exotic breeders and Breed Council Secretaries promised the CFA Board they would not ask to show their longhairs. One Exotic Breed Council (BC) secretary equated asking to show the Longhairs was like "having our cake and eating it, too." However, when challenged on that issue, they have simply stated "we changed our minds." The Persian Bredd Council has been accused of "changing their minds" on the 2009 compromise, but firstly, it was the Exotic BC that first changed their minds, and secondly, the Persian BC never actually approved of the compromise. Fast forward to contemporary times. The Persian Breed Council has voted with one exception against the inclusion of Exotic Longhairs in our breed (for registration or showing purposes.) These votes began in the 1986 and continue nearly 30 years later with the latest vote asking the Board to remove the Exotic Longhairs from our divisions at the shows. Similarly, other breeds have voted to protect themselves from incursions from their hybrid offspring breeds. Whether Siamese, Abyssinian, or even Burmese, the board has a history of respecting the wishes of a Breed Council, with a one exception - that of the Persian Breed Council. I hope this brief tour through history will help many Board members understand why the Persian BC and so many Persian breeders feel so passionate about this issue. While we unquestionably recognize the Exotic Shorthair as a unique and wonderful breed, we reserve the right to maintain the integrity and relative purity of our own breed. While no breed can be called "pure," we have the strong desire to keep our Persians as pure as we can make them.